The Gay & Lesbian Alliance Against Defamation announced the news of Lambert as the event's main performer on Monday. Adam Lambert will perform at the 21st Annual GLAAD Media Awards next month, Access Hollywoodhas learned. 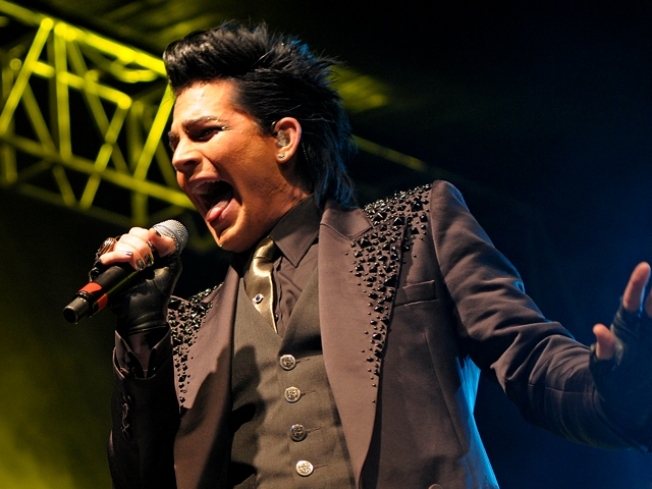 The Gay & Lesbian Alliance Against Defamation announced the news of Adam as the event's main performer on Monday. "GLAAD has advocated for out music artists, including myself, and I am proud to be part of the 21st Annual GLAAD Media Awards this year," Adam said in a statement about the April 17 event. "GLAAD's work to share stories that grow acceptance and understanding about the gay and transgender community is so important in our culture today." A source close to the event told Access Hollywood that Adam actually cleared his schedule in order to be able to take the stage at the event. The source added that the "American Idol" Season 8 runner-up will leave shortly after his performance to jump on a plane to Europe to continue his tour. The GLAAD Media Awards regularly recognize those who offer accurate representation of the gay, lesbian and transgender community in the media. In addition to Adam performing, a host of stars will be in attendance, including Drew Barrymore, Wanda Sykes, Tom Ford, Sofia Vergara from "Modern Family" and members of the cast of "Glee." Constance McMillen, the 18-year-old student from Fulton, Miss., whose prom was canceled after she challenged the school district over its decision not to allow her to bring her girlfriend and wear a tuxedo to the event, will also be in attendance. Constance will be presenting Wanda with the Stephen F. Kolzak Award. The award recognizes an openly gay person in entertainment who works to fight homophobia. GLAAD previously announced that Drew will receive the Vanguard Award, which is presented to media professionals who have increased the visibility and understanding of the LGBT community. The GLAAD Media Awards will take place on April 17 at the Hyatt Regency Century Plaza in Los Angeles.